Please refer to our stock # Ohara205 when inquiring. Shoson seal at lower left. 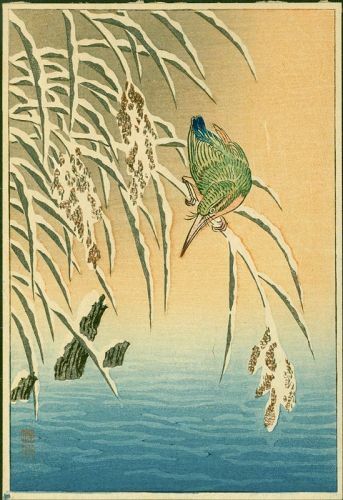 Reference: AS.13 in Crows, Cranes and Camellias: The Natural World of Ohara Koson (Reigle Newland). Note: Embossed snow on this rarely seen design.